Because the game is still a Beta version, it’s safe to assume that you’ll run into a bunch of bugs and errors during gameplay. Some games may not work right, and others may not work at all. Sometimes you will be logged out of your account so that we can perform maintenance on the game. 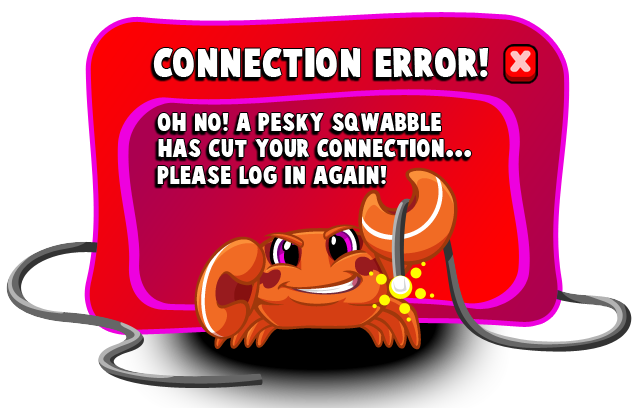 Please be patient, as these changes are absolutely necessary in order to make SqwishLand a bigger and better world for you and your pals to enjoy! We would very much appreciate if you would share your feedback with us while in the Beta phase. Think of it as being a Game Tester – you get to play a game and tell us how to make it better! Your feedback will help make SqwishLand a better world for everyone, so everything you share with us is for the best!